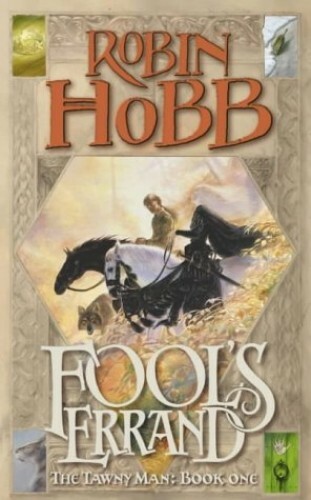 Return to the world of the Farseers... Robin Hobb's best loved characters, Fitz , The Fool and Nighteyes the wolf, face new adventures and trials in the first book of The Tawny Man trilogy. Return to the world of the Farseers...Robin Hobb's best loved characters, Fitz , The Fool and Nighteyes the wolf, face new adventures and trials in the first book of The Tawny Man trilogy. When Assassin's Quest closed, Fitz was living in self-imposed exile. Wracked with pain, he had chosen to discard the magical gifts that had seen him survive the wonders and torments of navigating the legendary city of the Elderlings, and of raising a dragon. Now, in this the first of a new trilogy, we are returned to the world of the Six Duchies and the lives of those who managed to survive the events of the first Assassin trilogy. Fifteen years have passed and events are about to sweep Fitz out of his quiet backwater life and into the main political current again. Persecution of the Witted has become rampant throughout the Six Duchies despite Queen Kettricken's effort to damp it. The Witted themselves have begun to strike back. So when 15 year old Prince Dutiful disappears, is it only because he is nervous about his betrothal ceremony to an Outislander princess, or has he been taken hostage by the Witted? Worse, is he perhaps another 'Piebald Prince', a Farseer tainted by Wit magic? As the desperate situation worsens, Kettricken has no choice but to summon Fitz to Buckkeep, for who better to track the young prince down than another gifted with the Wit, together with his bonded companion, the wolf Nighteyes?